Mascara is a desert island product for me. As in, if you could only choose one makeup product to take to a desert island . . .
Because mascara only lasts a few months, it is one of those products that need to be replaced regularly. (oh, hmmm . . . maybe not a desert island product after all. What would I do after three months?) And that's part of the fun of it. 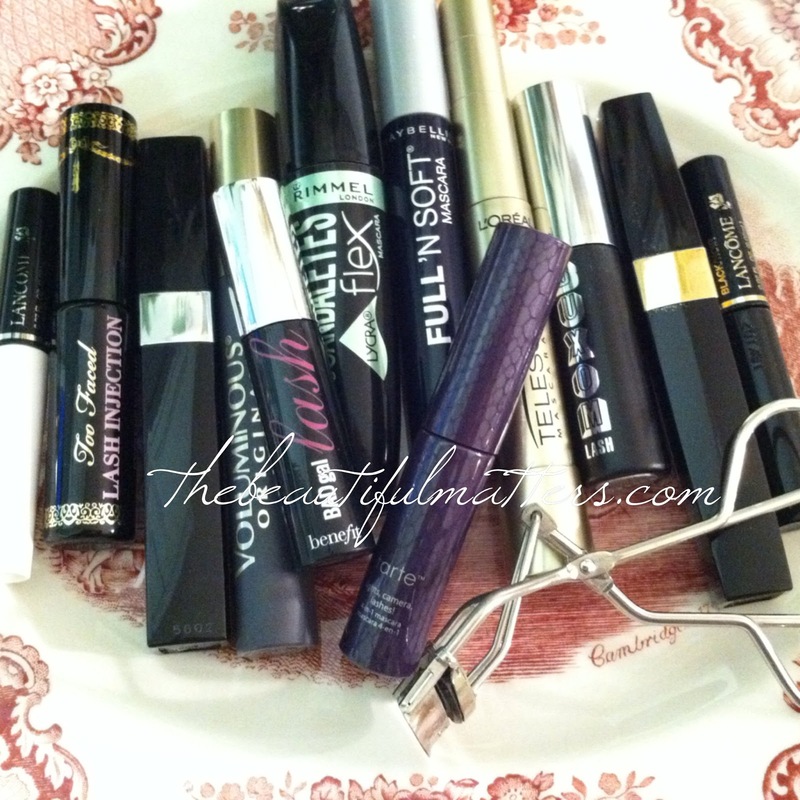 I love to try different products, and I have tried many different mascaras over the years. Blusher, on the other hand, can last a year, and I can get bored, even if I like it. 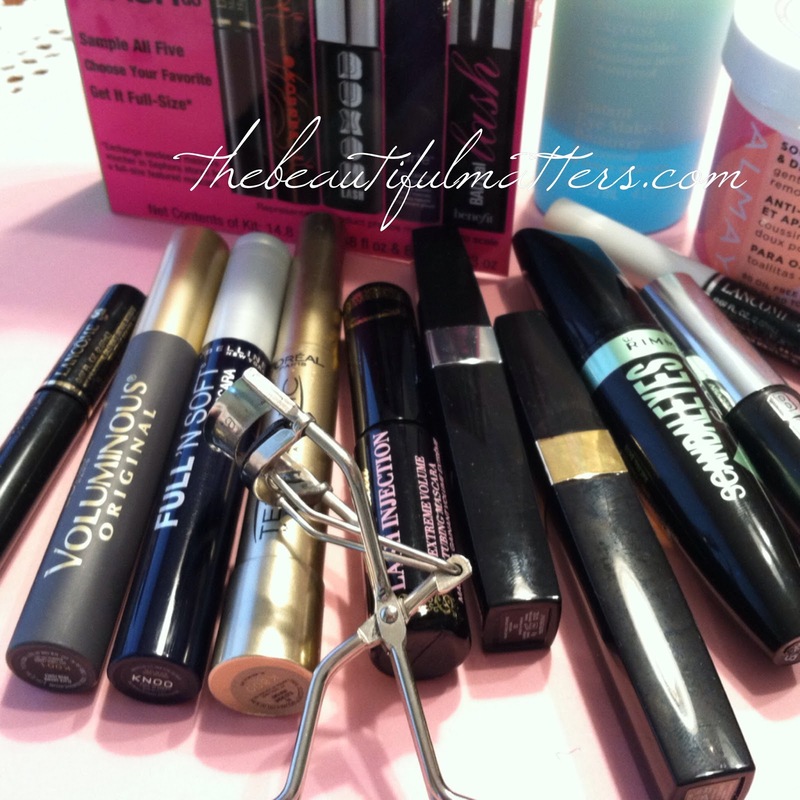 I've tried drugstore mascaras and department store mascaras. L'Oreal, Benefit, Buxom, Dior, the iconic pink and green Maybelline, Chanel, Lancome, Rimmel . . . you name it, I've tried it. A couple years ago I got one of those gift boxes of eight or 10 smaller-sized mascaras from Sephora, and had a lot of fun trying different brands. I'm not rating any waterproof mascaras. Other than buying some for my son's wedding, for obvious reasons, I don't like subjecting the delicate area around my eyes to any extra pressure when removing eye products. I don't swim and I don't cry in public (usually), so it's not a problem. I usually take a shower before bed, and any mascara that doesn't come off is removed carefully with Almay Soothing & De-puffing makeup remover pads. 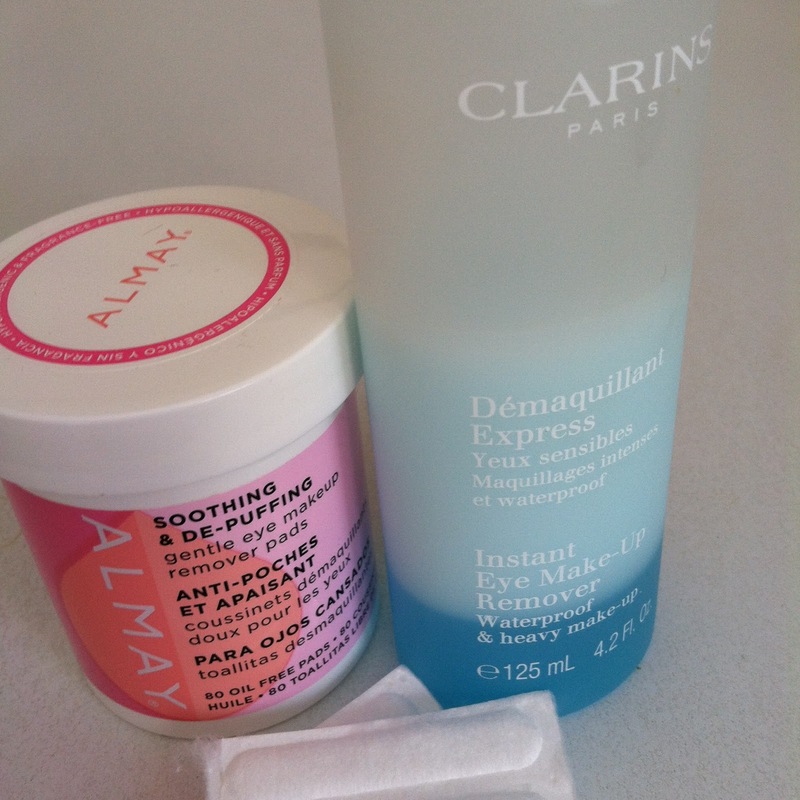 I've also tried the Almay Sensitive Eyes makeup remover pads. I don't like using cotton balls or squares as I invariably get some cotton lint in my eyes. I have tried the highly rated Lancome Bi-Facil Double Action Eye Makeup Remover. At $28 for 4.2 ounces I expect miracles. I don't think it works any better than the Almay. My daughter likes this Clarins Instant Eye Makeup Remover. 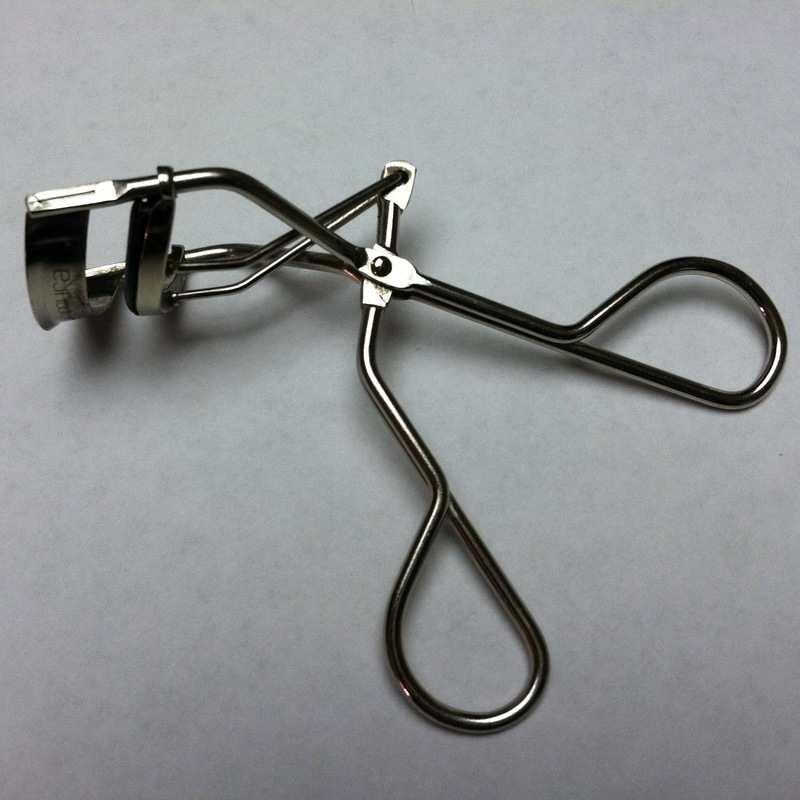 I always use an eyelash curler. I use the Shu Uemura that I got several Christmases ago. I haven't even replaced the rubber grip yet, and it is still going strong. I don't curl my lashes after applying mascara because the lashes stick to the grip, and I don't need to lose any lashes! Even if you don't or can't wear mascara, curling eyelashes alone will open up your eyes and make them look bigger and more wide awake. I don't wear black mascara. I don't wear anything black, even though it is such a chic, sophisticated color. After years of wearing it because I thought I had to, I realized I don't feel good in it. I prefer browns and grays with pops of lavender, periwinkle, and pink. Same with mascara and eyeliner. Black feels too hard for me, so I go with soft browns, black/browns, and dark purples. And lastly, I prefer longer, defined lashes rather than a thicker look. Sometimes thick can look clumpy. Remember using straight pins to unclump our eyelashes? That makes me shudder now. I have an eyelash comb, but I don't like any mascara that requires me to use it. I use a little eyeliner on my upper lid to give the illusion of thickness. So, now that you know my biases, here is my completely unscientific run-down and ratings of the products I've tried. First, the higher-end mascaras . . .
Lancome Definicils really works. It does just what I want. Long, defined lashes. Unfortunately, it works too well. As soon as I put on my glasses, my lashes sweep up against the insides of them. If I didn't have to put on glasses to read, this would definitely be my go-to. Highly recommended. Probably my favorite high-end mascara. My daughter likes to pair the Lancome Definicils with the Buxom from Bare Escentuals. She says she gets length and volume together. 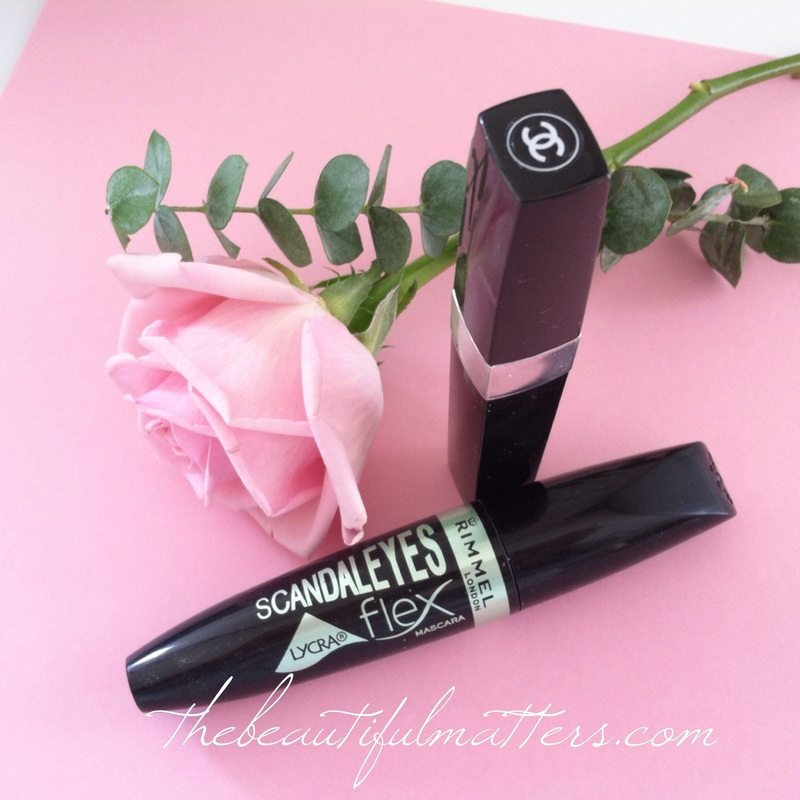 I really want to love this Chanel Inimitable in purple, if only for the fact that the black case with the interlocking C's looks so glamorous on my vanity. I'm sad to say that it really doesn't live up to expectations. Gets clumpy fast. By the way, it doesn't look purple at all, just a softer look than black. 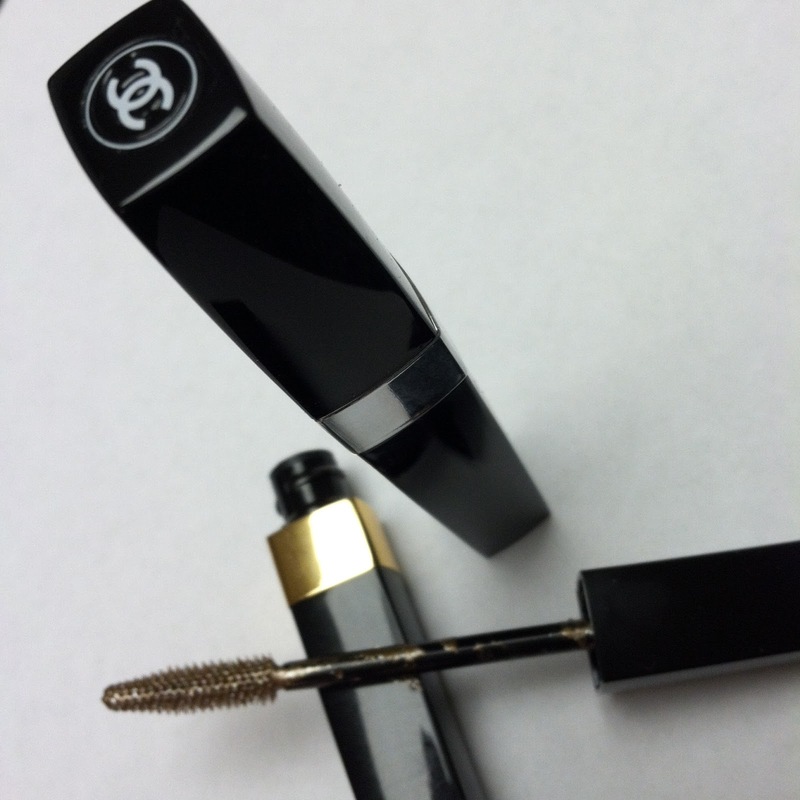 The Chanel Cils Scintillants "mascara" in bronze platine (open, above) is not really mascara at all, but a topcoat that deposits a little gold sparkle on top of mascara. Great for evenings or holidays, and if you don't put too much on, only noticeable in certain light or at certain angles. You can be as subtle or as sparkly as you wish. 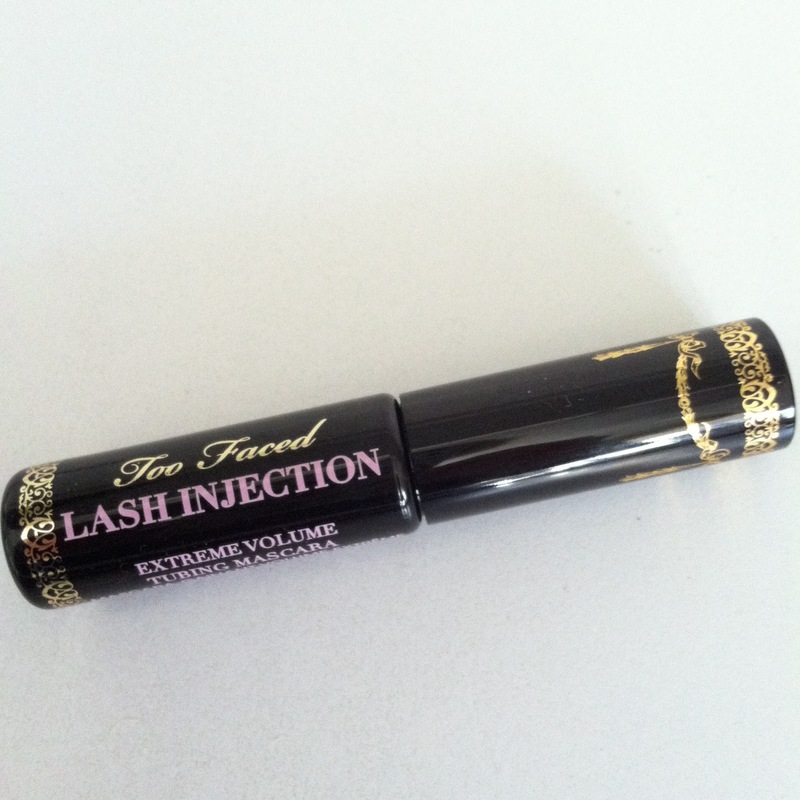 The Too Faced Lash Injection "extreme volume tubing" mascara boasts "tubes" of product to coat your lashes. Messy, with flakes falling to your cheekbones. I noticed this with another mascara (forgot the brand) that I tried that claimed to deposit lengthening "strands" to your lashes. They fell off in flakes as well. Fair or not, I've since avoided any mascaras with "tubes," some of which I've also seen in the drugstore. The Dior Diorshow mascara is a good lengthening and volumizing mascara that consistently earns good reviews. I have liked wearing it. My daughter's favorite department store mascara is Benefit They're Real! Mascara. She loves a thick, voluminous, and long eyelash look. Gorgeous on her. It's also listed as Sephora's best-selling mascara. See here for a compilation of their best-selling mascaras. 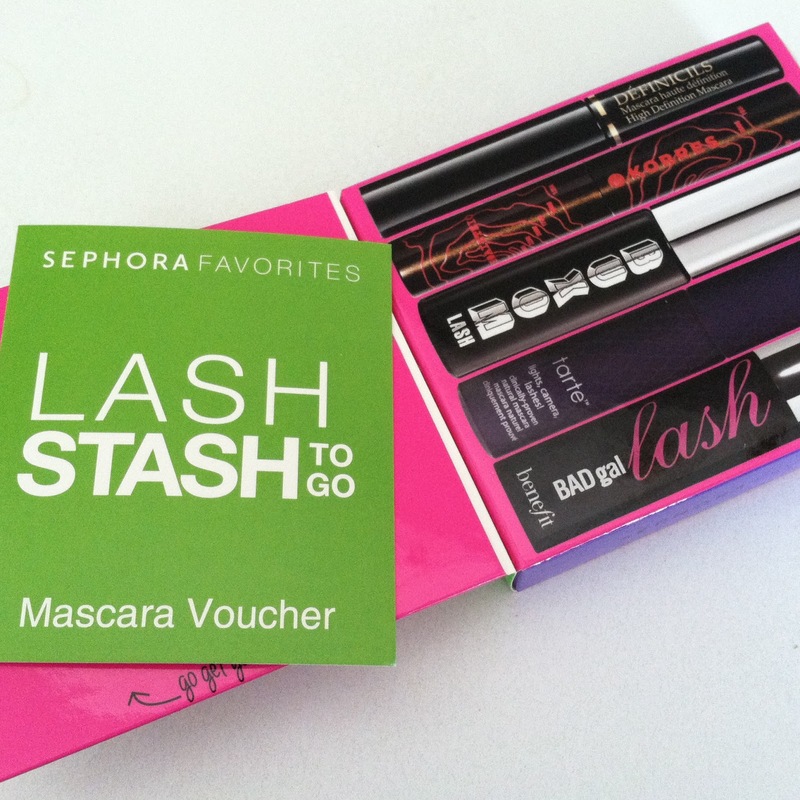 A great idea if you don't know where to start is to purchase a mascara sampler, like this one from Sephora. For $25, you get five smaller-sized mascaras (which still last up to three months each) and a coupon for a free, full-sized mascara of your favorite of the five. And in the drugstore category . . . The L'Oreal Voluminous in black/brown was my go-to for years, before Sephora came on the scene and when I didn't have as much time to try different products or run to the mall (raising children can do that to you). 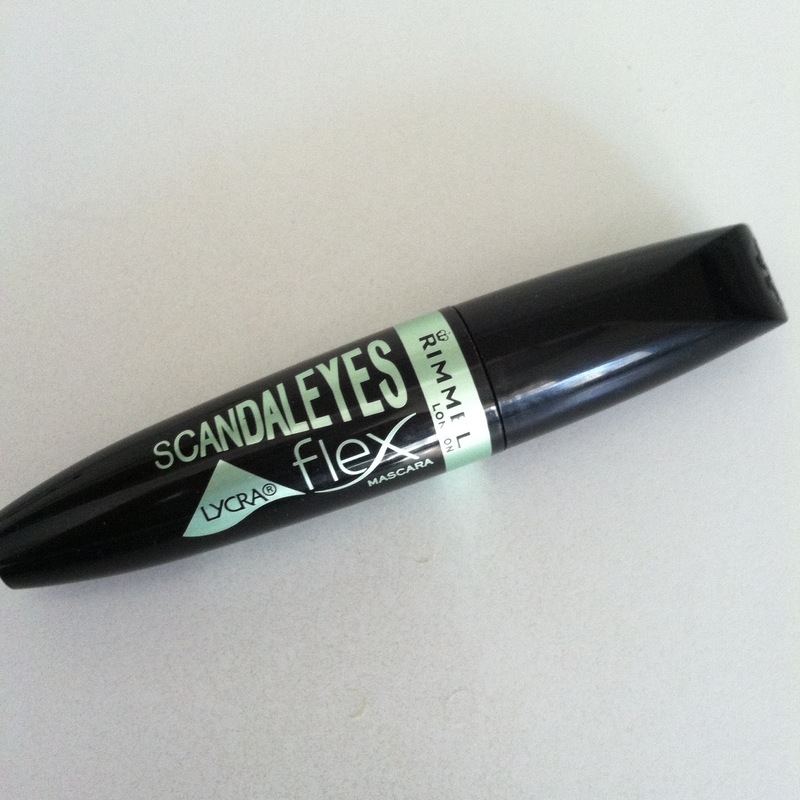 The Rimmel Scandaleyes Lycra flex is very thick and I think too clumpy. After washing my face, I had huge circles of muddy product under my eyes which took several pads of remover to clean up. And the next morning, I was still removing some. 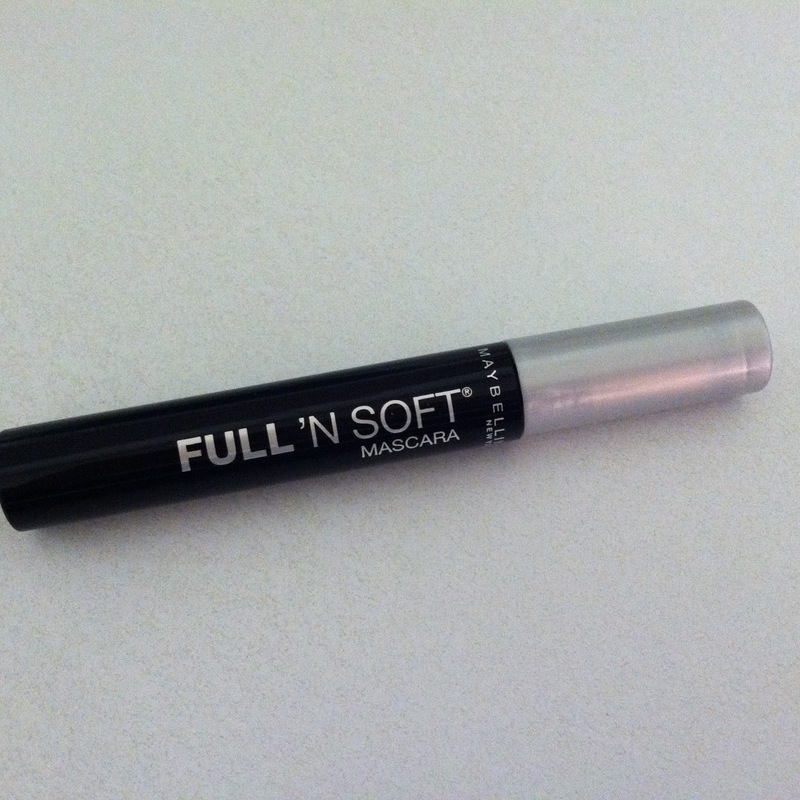 I just bought some Maybelline Full 'N Soft, based on a review on Into the Gloss. This only came in black at my local CVS pharmacy, but it is so soft that I didn't mind it at all. It went on very nicely, with no clumping. This would be a great daytime mascara and perfect for a natural, le no makeup look. I recommend it. I hadn't bought the L'Oreal Voluminous for awhile, so was I surprised to see about six different Voluminous mascaras at the drugstore. I'll never run out of mascaras to try! 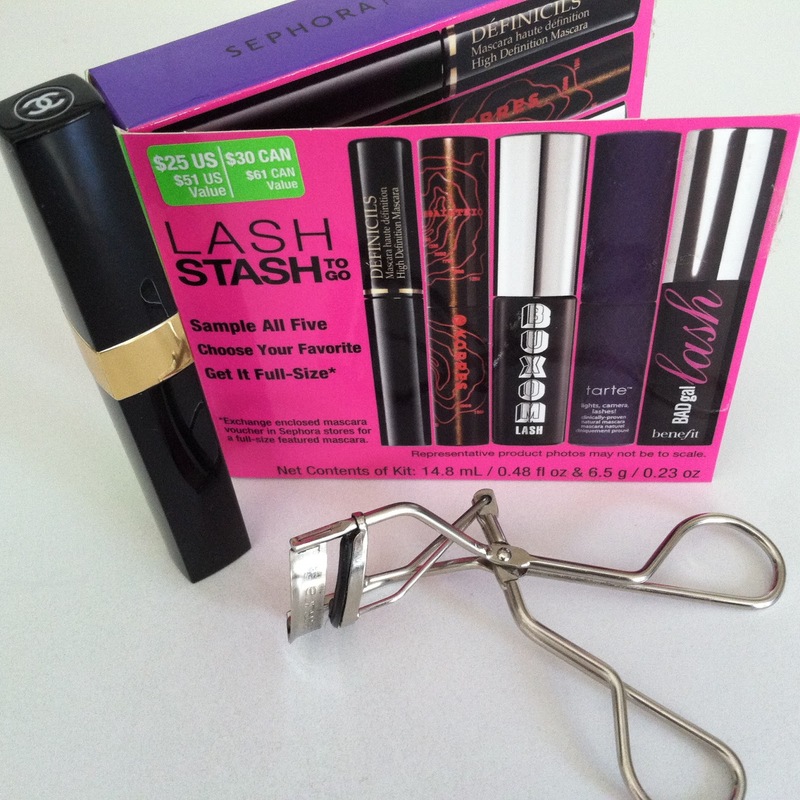 I picked up the original and the L'Oreal Telescopic mascara. I am impressed with this. Long, defined lashes, no clumps, easy to remove. Not too long to interfere with my reading glasses. It may be my low-cost replacement for the Lancome Definicils. 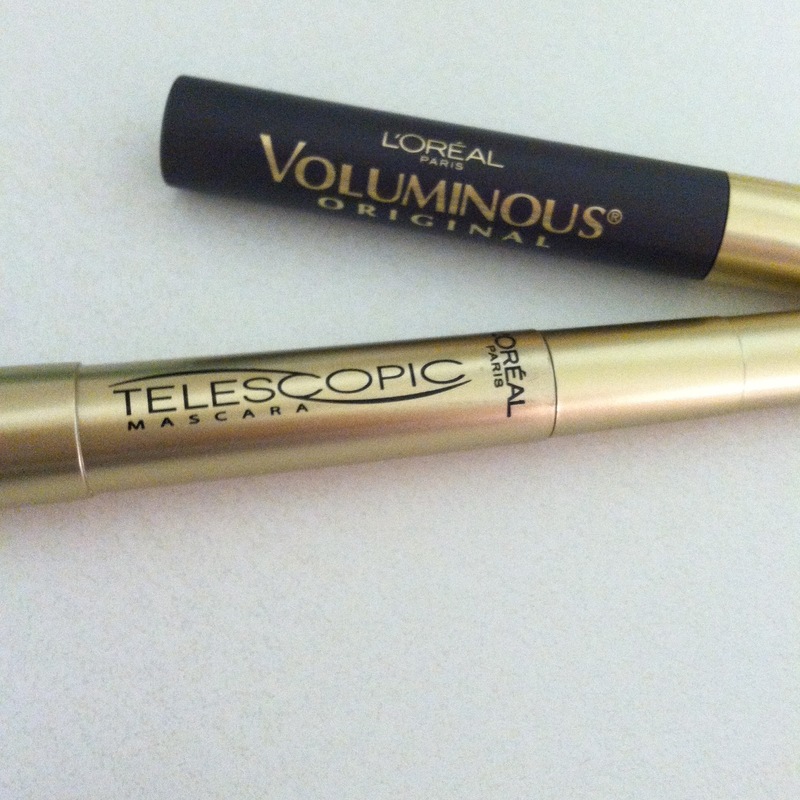 So, for me, the L'Oreal Telescopic wins. At least for the next three months. It is nice when you can get a high quality product for such a reasonable price (under $10). Using a less expensive mascara might enable me to swing a few facials now and again. And the older I get, the more I see that glowing skin is worth more than all the makeup out there. And now, I am pleased to announce the winner of my Grow Your Blog ***GIVEAWAY***, drawn at random from the entries I received. Congratulations to Donna Heber of Donna's Designs, who wins a box of prizes. 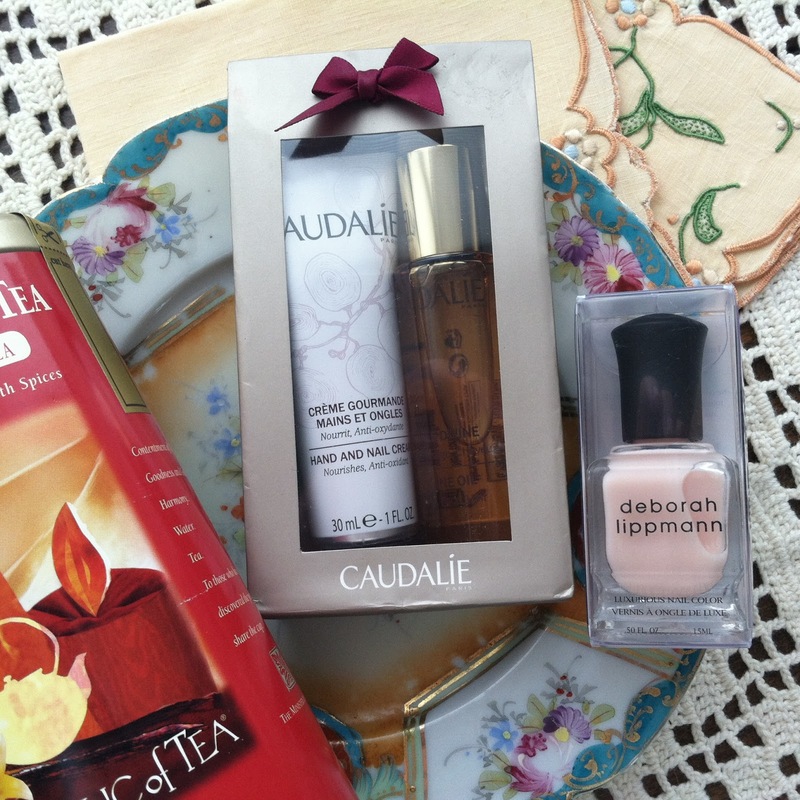 A lovely vintage plate and two vintage linen napkins, a tin of Republic of Tea tea, a twosome of Caudalie products and a Deborah Lippmann nail polish. I will be in touch with you, Donna, to get your address. Thank you to Vicki at 2 Bags Full for hosting this event. I've had lots of fun visiting (some of) the 600 bloggers who participated. I'll still be visiting others for a long time yet. Sharing at What I'm Loving Fridays. Thanks Tanya, I will look into that. Sounds great. I am so excited! I can't believe I won your giveaway. I anxiously await to receive the box of "goodies". My address is on its way to you. Thank you again! wow -- what a happy day :)!! thank you! I enjoyed the review on the different brands of mascara. I haven't worn mascara for years as I always seemed to have an issue with any brand. Instead, I have my eyelashes tinted every month with a vegetable dye - no thickness added but at least colour. That actually sounds kind of nice. No mess, and you can rub your eyes if you need to. Congratulations to Donna! I'm sure you'll enjoy your prize. Have a great weekend, Deborah! Watch out in Sephora -- I'm like a kid in a candy store! Interesting post, Deborah! I am liking Cover Girl Clump Crusher mascara now. I have problems with clumping and this mascara works well for me. Love that name! Don't like clumps either. Congrats to Donna! Lots of great info on make-up.... I am like you..tried it all! I do love a waterproof mascara.. These days my lashes need all the help they can get.. I use an eyelash curler too.. Thanks for sharing all your info.. Blessings! I'm really loving L'Oreal Butterfly mascara right now...it gives you super long "fluffy" looking lashes. Haven't tried that one yet -- see, I'll never run out of things to try! Thanks for stopping by Debbie, love the name of your blog. Great post Deborah. I am a makeup junkie so this is wonderful to read. I do use the Chanel mascara. Pretty pricey but I will now give the L'Oreal a try. Thanks for always leaving me such sweet and kind comments. I love buying makeup. It's so much more fun than trying on clothes.